Grows only in shady very wet areas in the rainforest of north-eastern Queensland. 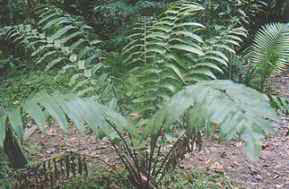 The genus name means 'beautiful fern'. 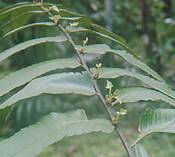 A ground fern with distinctive small leaflets growing from the base of the true larger fronds. When these are taken off, they can grow themselves as plants (Cronin 1993), a fact referred to in the specific epithet. The sporangia pattern is made up of many small lines that cover almost the entire back of the frond.